It's 8:15 pm on Monday evening right now. My kids are tucked in their beds. The house is quiet. The day is rapidly inching to a close. It's the time of the night when I usually grab my computer, settle down on the couch, and work on a blog post for the next day. And, per usual, that's what I planned to do tonight. I had a post I'd been working on about my favorite people to follow on Instagram. I had intended to put a few final touches on it and then sit back and hate-watch Bachelor in Paradise. And then I checked Twitter and everything changed. So, I'm going to hold off on that post for a bit. You see, I'm sad. Really sad. Like much of the world, I suspect, the news of Robin Williams's death hit me hard. I'm not sure why it's gotten me so upset. Other celebrity deaths haven't made me feel like this. James Gandolfini's death was sad. Cory Monteith's death was sad. Phillip Seymour Hoffman's felt like punch in the gut. But this feels different. This time, I feel like I've lost a friend. And, honestly, I kind of have. 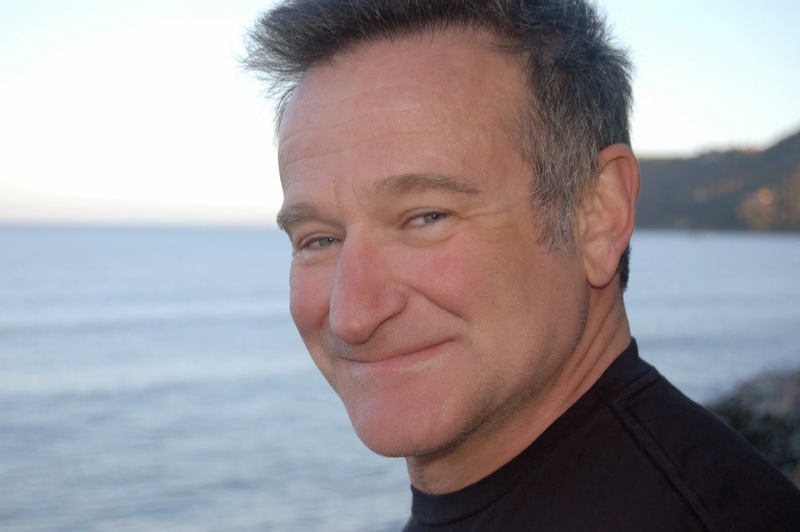 I've never met Robin Williams, of course. But that doesn't mean I didn't know him. We all knew him. He was there every step of the way. He was Mork. He was Mrs. Doubtfire. He was the Genie in Aladdin. From Awakenings to Dead Poets Society to Hook, he was integral to so many of my favorite movies--and moments--growing up. He was awesome. One of my favorite Robin moments was the part he played in one of my all-time favorite movies, Good Will Hunting. Do you remember how incredible he was in that role? I just watched a few of my favorite scenes from the movie on YouTube. I really want to re-watch the whole film again now because he was so wonderful in every single moment. There are so many great scenes from that movie, but I've included a very quick one below. The clip is just over a minute long--and he's only onscreen for a few seconds--but it really speaks to his power as an actor. Because even though he has only one single line in the entire scene, it's perfect and it completely makes the movie. I've always loved it, but I gained new appreciation for it relatively recently when I read an interview with Matt Damon where he talked about how Robin actually improvised the line. That's how amazing he was. Good-bye, Robin. Thanks for the lifetime of laughs...and tears. We'll miss you.